Developed by renowned cardiologist, Dr. Arthur Agatston, the South Beach Diet is a 3-phase plan designed to help you shed weight and keep it off. By focusing on heart-healthy food groups, this meal plan helps you get down to your goal weight while teaching you how to maintain healthy eating habits outside of the program. What’s Unique About the South Beach Diet? South Beach Diet is committed to not only helping its clients lose weight, but also aiding them in making real changes to their health. Founded and crafted with the help of world-renowned cardiologist Dr Arthur Agatston, the program is split into 3 phases. As anyone would expect from a weight loss plan created by a cardiologist, there’s a lot of science that goes into this program and its phase structure. Weight loss kick-start: By eliminating gluten, sugars and starches from the diet, your body is ‘reset’ and will begin burning fats rather than carbs – resulting in faster weight loss. Steady weight loss: By slowly reintroducing healthy carbs into your diet, you’ll start to experience a more steady weight loss, and will eliminate the cravings felt from more restrictive diets. Maintaining your goal weight: Once you’ve successfully reached your weight loss goal, the program provides a number of simple recipes and helpful tips so you can make real lifestyle changes. The program aims to enable a steady weight loss journey, and phase 3 involves maintaining a healthy weight while dining out and making meals at home. 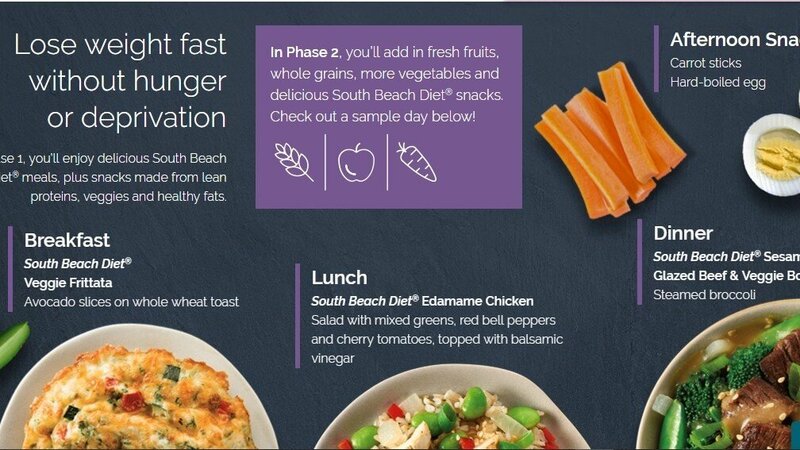 To this end, South Beach Diet includes 2 practice days each week, even in Phase 1. Twice a week, dieters will need to create healthy choices which fit with the program, or dine out sensibly with the diet plan in mind. This helps you learn how to make smart eating decisions, getting you ready to eventually wean off the meal plan and craft your own healthy, nutritious and balanced food plan. Signing up to South Beach Diet is fairly simple. Just choose your 4-week meal plan - either Chef’s Choice or Pick Your Own Meals - decide whether to add snacks and you’ll be prompted to create an account and provide payment details. After the order has been placed, you can expect your meals within 4-10 business days. Most of the prepared food will arrive flash frozen and ready to be heated up and enjoyed. Snacks, and some other foods come ready to eat. The first 2 weeks, known as Phase 1, are entirely gluten free. After that, many of the meals do contain gluten. 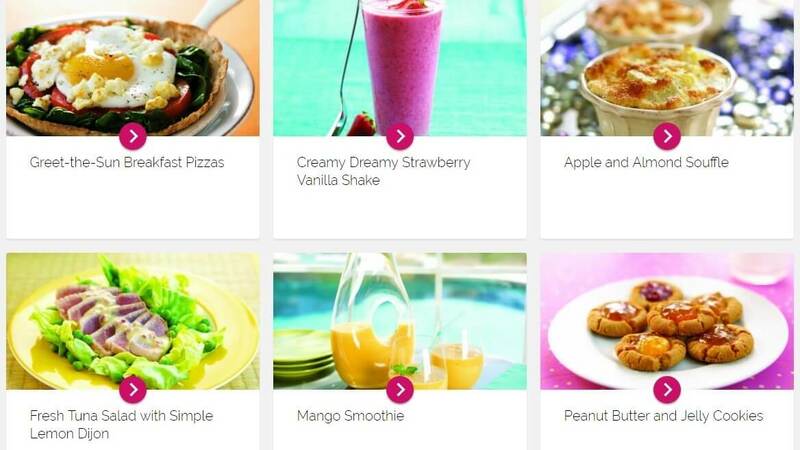 None of the phases are suitable for Vegetarian, Vegan, Paleo or Kosher diets. South Beach can cater to customers with specific allergies such as shellfish. Speak to customer service if you are unsure whether your dietary requirements restrict you from using this diet plan. The plan includes breakfast, lunch and dinner. Snacks can be added at an additional charge. There are about 30 options for breakfast, 50 for lunch and dinner, and 11 snack options. Meal choices vary from shakes and protein bars, to full meals such as fiery chilli or garlic ginger beef with broccoli. Snacks include brownie bars, ice cream shakes or protein rich options such as nuts or meat jerky. The South Beach Diet costs $461.52 for a 4-week plan. The price can drop to $299.99, $10.71 a day, if you opt for auto-delivery. With auto-delivery the plan renews automatically every 4 weeks. 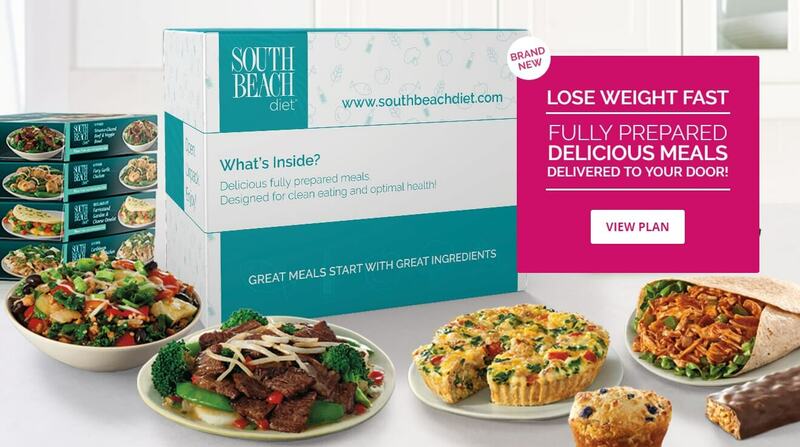 The South Beach Diet will continue to ship orders and bill you every 4 weeks unless you cancel by phone. You can pause or cancel the plan any time. However, if you cancel before paying for your second shipment, you will be charged $125 for the auto-delivery discount. If you cancel any time after your second shipment, there is no charge. Shipping is free if you opt for auto-delivery, but there is a $1.99 packaging fee per order. In addition, for an extra $40, the South Beach Diet will include snacks in your plan. This brings the daily total for the plan to $12.14. 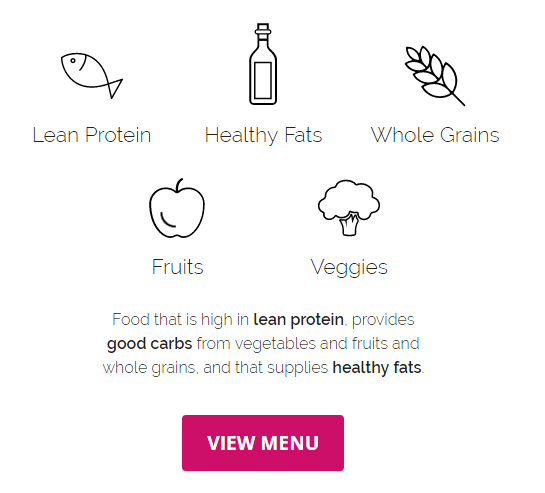 The South Beach Diet website has an extensive FAQ section where users can find answers to their most common queries about food choices, as well as technical and delivery-related questions. For those who would prefer to contact someone directly, there are a number of options. Customer service representatives are available by phone Monday through Friday 7am-12am EST, and 8:30am-5pm EST on Saturday and Sunday. You can also reach a representative by email anytime or by live chat from 8am to 11pm, Monday through Sunday. There are separate phone, email and chat options for weight loss counselors who can provide tips on the meal plan as well as support. The South Beach Diet is a good option for those who care as much about their health as they do about losing weight. Its focus on heart-health and sustainable healthy eating habits that transform your metabolism is built to last long-term. The fully prepared meal plan program was rolled out in 2016. It was founded by Cardiologist, Dr Arthur Agatston, who has had tremendous success helping his patients safely lose weight using his techniques and meal plans. Dr Agatston is the author of 12 best-selling books on weight loss, and over 11 million people have tried the South Beach Diet.